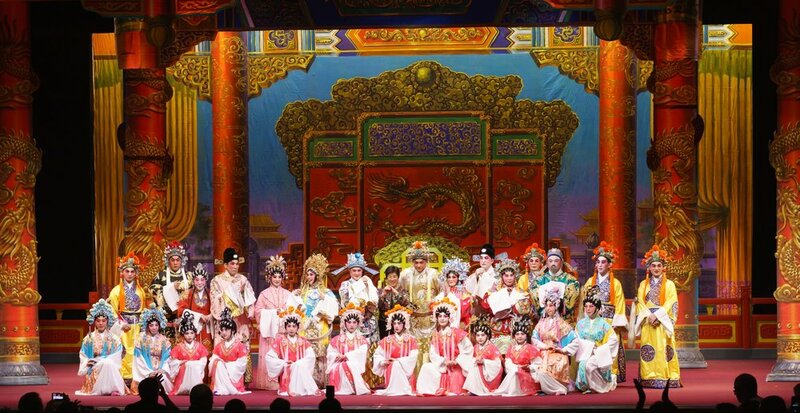 Founded in 1996, Red Bean Cantonese Opera was reorganized in 1999 under the auspices of its President and Artistic Director, Jing Liang sifu, formerly affiliated as a faculty member with China's Fu Shan Cantonese Opera Institute. Soon thereafter, Madam Liang was joined by Troupe Vice-President Linda Lee, Treasurer and Director of Operations Laura Ma and, later, by a growing community of more than 130 dedicated opera enthusiasts sharing in her vision. This community's generous and deeply appreciated contributions of financial support, administrative and academic expertise, volunteer assistance, and professional services have made Red Bean Opera's many successes possible. Among the accomplishments of which the Studio is most proud is its Youth Troupe program, from which nearly 60 participants from ages 6 through 20 have received intensive instruction in acting, singing, dancing, costuming, cosmetics and other operatic arts, along with live stage experience. The name "Red Bean" alludes to a vine, native to Guangzhou, China, that spreads rapidly and is so highly regarded for its beauty as to have become a subject for poetry. In January 2011, Red Bean Opera received approval from the Internal Revenue Service as a tax-exempt, nonprofit 501(c)(3) theater arts organization. Since its promising beginning, Red Bean Opera has produced or participated in more than 60 operatic events in California and China, including well-received performances at Guangzhou's 2008 5th Yang-Sing International Cantonese Opera Festival and at Foshan's 2012 Huaguang Festival and the Guangzhou 6th Yang-Sing International Cantonese Opera Festival that same year. Appearing at regional venues such as San Francisco's Great Star Theater, the Yerba Buena Center for the Arts, the Oakland Asian Cultural Center, and the Chabot College Performing Arts Center, Red Bean Opera has, to date, produced 5 full-length classic and contemporary operas, including the 2000 Emperor Han's Dream of Lady Wai; the 2003 The Lioness Roars (given encore presentations in 2004 and 2016); the 2006 The Case of The Headless Murder, the 2010 The Moon Pavilion and the 2013 Princess Changping, as well as 2014's mid-length presentation of The Lotus Lantern.